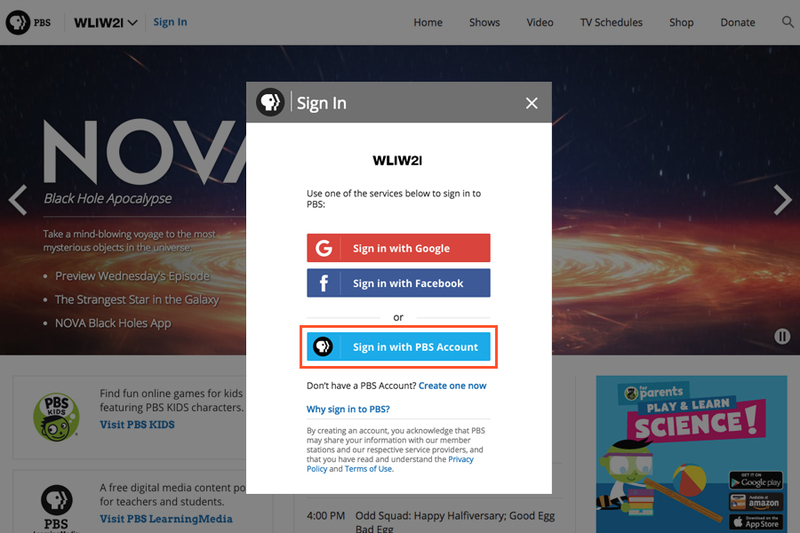 Click Sign In at the top left corner. 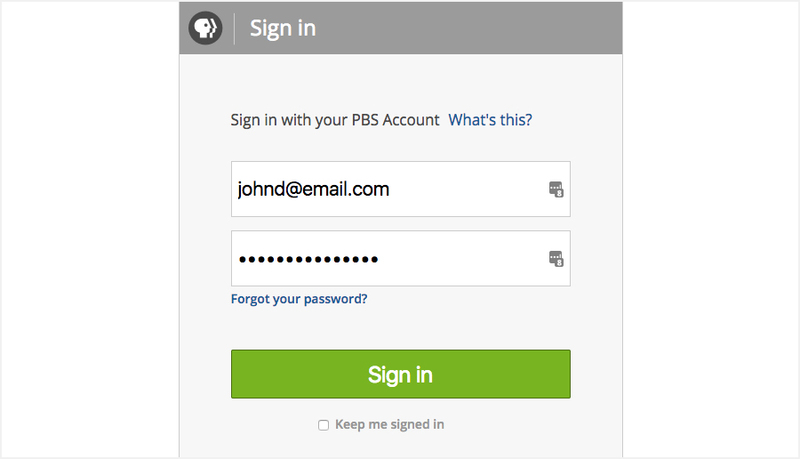 Click the blue bar labeled “SIGN IN WITH PBS ACCOUNT”. 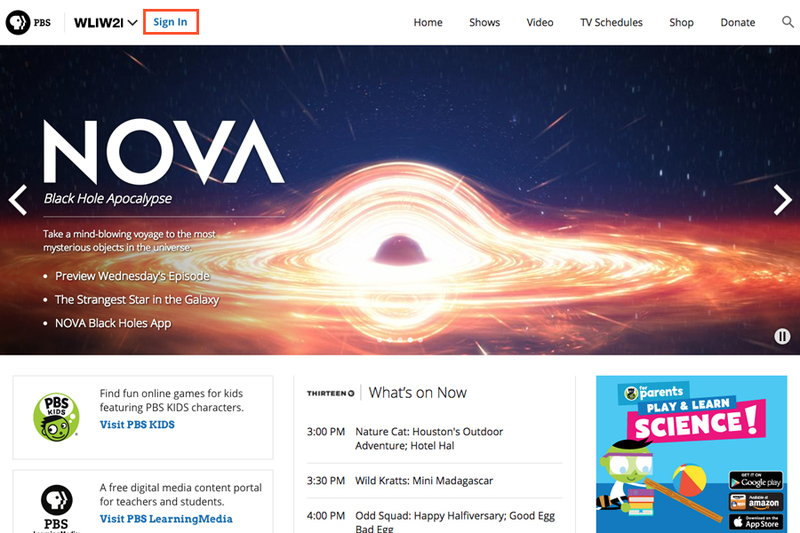 Click the green SIGN IN button – now your first name will appear on the top left. Click on your name – a list of options will appear. 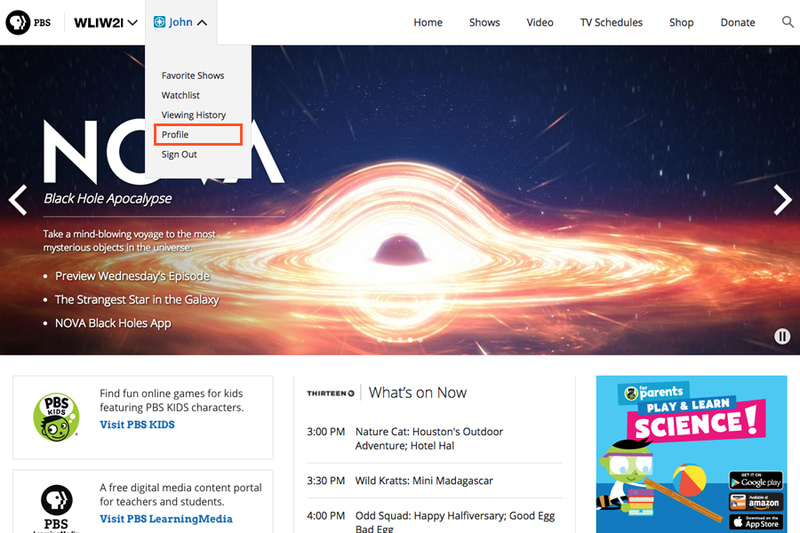 Click on Profile – this will bring you to the User Profile page. Click the green EDIT button – You will see two fields with your email address. Type your new email address over your old email IN BOTH FIELDS.